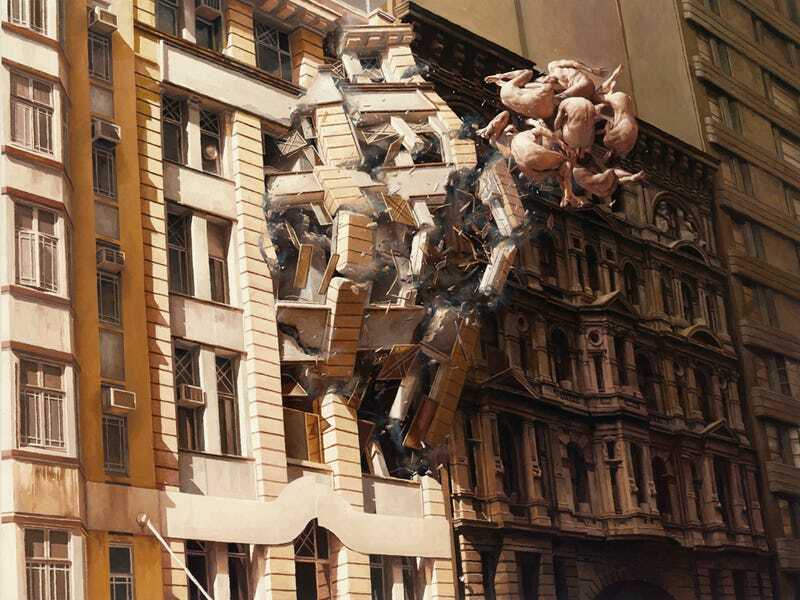 I love Jeremy Geddes' paintings—his photorealistic style mixed with his surreal, often disturbing subject matter. Like his Cosmonaut series, in which dead cosmonauts fall from the sky. Jeremy Geddes is a painter from Melbourne, Australia, author of the Cosmonaut painting series. He also authored the comic book covers for Doomed, which got him the Spectrum Gold Award. You can follow him on his website and Instagram, and buy his prints here.